Woodhorn Charitable Trust is celebrating the news that it has received a £49,918.00 funding boost from SITA Trust for the creation of an outdoor children’s play area at Woodhorn Museum in Ashington. 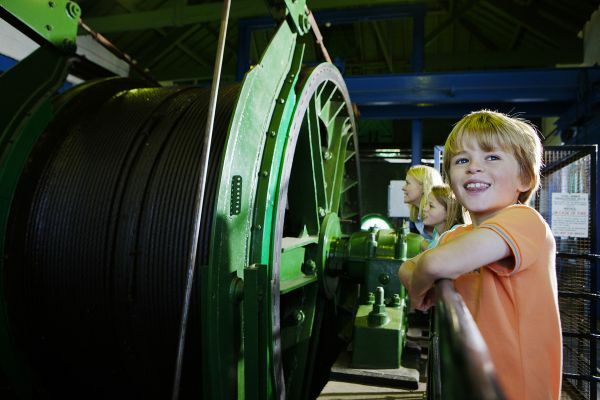 Woodhorn is a popular destination for families with interactives throughout the permanent displays, a programme of family learning and craft activities complementing special events and temporary exhibitions, family guided tours as well as a narrow gauge railway which runs through the park operated by volunteers. It has long been recognised however that an outdoor play area where families can enjoy the open space and children let off steam, would be a huge bonus to the museum, complementing the existing facilities and offering a new amenity to the local community in addition to museum visitors. Jo Raw, Acting Director of Woodhorn, welcomed the news of the award. “Being able to provide an exciting new play facility for young visitors will be beneficial across the board. Additional funds to make the play area possible at Woodhorn have been made available by three of the area’s councillors. Northumberland County Councillors Jeff Gobin, Ken Parry and Val Tyler have all helped through their small schemes grants. Funding has also come from Section 106 Housing Developer Funds. It is hoped that the new play facilities will be in place by the end of July.